What Happens in a Complimentary Meeting with a Financial Planner? Before a discovery meeting with a financial planner, many people want to know what to expect. Maybe you have fears, or even misconceptions, based on a bad prior experience. You might be concerned or wondering if you will be pressured into a commitment or ‘sold’ on a financial product during the first meeting. Others may initially feel uncomfortable discussing their finances, or they don’t even know where to begin a conversation with a financial planner. Sadly, such apprehensions may prevent some from taking that first step towards financial guidance! Most will want to feel comfortable with the advisor by spending a little time talking before sharing the full details of their current financial situation. Let's shed a little light on what you can expect to experience in a Discovery Meeting with McBeath Financial Group. What actually happens in your first appointment really depends on your comfort level. Fundamentally, this meeting is about getting to know each other a little better. Although you’ll have your financial documents in hand, we most often don’t refer directly to those specifics during a discovery meeting. The focus of this meeting will be about you, your goals, and if we believe we can work towards helping you achieve them. 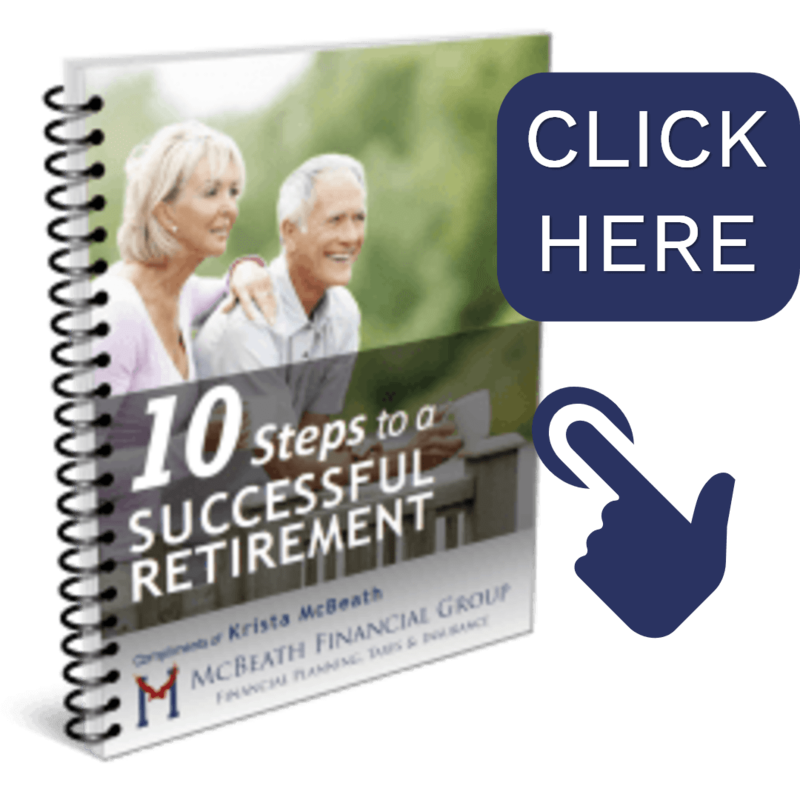 We may discuss what your dreams are for retirement and what you're trying to achieve. Then we will determine if we believe we can help you achieve those goals with financial planning. At the end of this meeting, based on your goals and the mutual comfort level with each other, we may engage in the financial planning process. If we all decide to move forward, then you will meet with a member of our planning team who will go through your documents with you and begin a deeper dive into cataloging your current situation. This will allow us to begin the analysis process. Essentially, the Discovery Meeting allows us to determine if financial planning is the right fit for you and if you believe I can help you achieve the objectives we discuss. During this meeting, I’m happy to answer any general questions about the process. It’s also important for you to know what this meeting is NOT about, and what kind of questions I won’t be able to answer during the discovery process. It’s important for you to understand that I am a financial planner, investment adviser, and most importantly, a fiduciary. As a provider of comprehensive plans, we take a holistic approach to recommendations, based upon overall goals. It’s an extremely thorough process. The thoroughness is important to the success of a plan. We take your entire situation into account. As such, we’ve learned that no individual transaction, investment, or tax strategy exists in a bubble. Every detail fits together like a puzzle. What this means is that without following my process and full analysis, I won’t look at your current portfolio and tell you if you can retire, or which accounts to draw down first. There are too many pieces to your financial puzzle for me to isolate advice. We can certainly talk about your concerns and suspicions to see if it warrants planning. Also, since nothing exists in a bubble, we won’t be making individual investment recommendations during a discovery meeting. As an investment advisor and fiduciary, without the financial plan, it would be irresponsible to offer a product solution without thorough analysis. Although we do have a full range of investment vehicles available, it’s understood that we will only initiate such transactions after comprehensive financial planning or investment planning utilizing managed portfolios. We realize that our planning process isn’t for everybody, and that’s okay. That’s often why we have that first complimentary meeting. It’s really a time for us to just get to know each other and see if it’s a fit based on everything we’ve shared so far. If you have a retirement situation or a financial need, we encourage you to reach out to us. We can ask you some questions to help you determine if planning is a good fit. You can take that first step by clicking below!